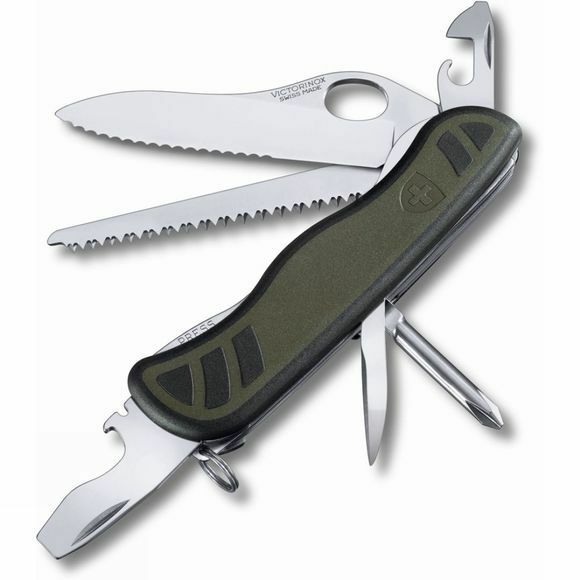 For more than 100 years, Victorinox has equipped Swiss soldiers with pocket knives: the Soldier continues this tradition. The cutting blade has a serrated edge for minimal maintenance and can be opened with one hand. Like the blade, the screwdriver locks automatically on opening. A two-component plastic shell offers excellent grip.